This will be a topic that will be discussed by at least four presenters at our upcoming strategy symposium in January. Two of those presentations are by health system executives talking about their acquisitions of private operators; one is by an investment banker looking at urgent care valuations and transactions; and a final one is by one of the largest private urgent care chains that just raised a significant amount of expansion capital. Over the past five years, urgent care unit growth has averaged between 10 and 15 percent, according to our tracking of urgent care operators with more than six centers. Much of that growth is with private-equity-backed urgent care operators. And almost by definition, if private equity is involved (versus venture capital) there is a positive operating margin or expectation of transactional exit value. Over that same period of time, hospitals have become much more active in the urgent care space. Yet hospitals generate higher overhead, impose greater operations complexity, face greater compliance obligations and often approach urgent care with an emergency room mentality. Add to that a cultural dependence on justifying certain services lines as generators of downstream cases, it’s not surprising that a hospital might look at urgent care as a break-even proposition. To make the issue more complex, some markets are moving more aggressively to at-risk payment models, so looking at urgent care is no longer as simple as measuring patient volume, net revenue per patient and net cost per encounter. This part of the equation is going to be debated with greater frequency now that UnitedHealth Group’s Optum subsidiary has purchased MedExpress, and CVS and Aetna are looking to join forces. Expect to see even more payer-provider-pharmacy alignment because, from a top-level health plan perspective, this is the optimal strategic position. 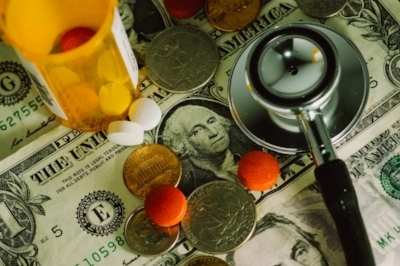 (Pharmacy spending is 20 percent or more of medical paid claims.) For a significant part of their businesses – fully insured groups and Medicare Advantage – Aetna and UnitedHealth live in an at-risk world. For self-funded commercial products, the network savings is likewise a key selling point. Add to all of this the disappearance of hospital-based billing in the world of urgent care and this question of profitability starts to dominate the ambulatory care steering committee meetings at hospitals across the country. We can guarantee that those reading this article from HCA and Tenet are smirking right now. The thought that their urgent care centers would not be expected to generate a profit has never been a question. It’s also not a question at MedExpress or at any of the hundreds of other private urgent care operators across the country. And at some point, hospitals will have to face the reality that no service line can operate as a “loss leader” or breakeven proposition. That will be our future sooner than many think. With some of the competitors we see coming down the road, not even primary care will be exempt. So if your urgent care center is not generating a positive operating margin, it’s time to start looking at how you get there. Coding and charge capture -- Start with your coding curves. In more than half of the centers we look at, providers are coding without specific direction because compliance has assumed the role of the decision maker (typically without data to support their position). They simply don’t know what they don’t know. The important thing is to appropriately document the work performed, and be able to connect acuity and service mix to a coding level. Having a coding expert who is also an experienced urgent care physician here makes the process straightforward. The Urgent Care Association of America (UCAOA) publishes a benchmark study every two years with coding data, and Merchant Medicine compiles industry ranges based on our work. By analyzing your encounter master you can quickly tell if your coding is within line of the industry average. More than likely you will find revenue that you have been leaving on the table. This can be a significant swing, although you should be sure to get an outside review. This is about correctly documenting the work. Revenue effectiveness -- Managed care contracting and rate capture is as obvious as it gets, starting with your charge master. Believe it or not, we find lost revenue because the charge master is being used incorrectly or long overdue for a refresh. Every visit at chart closure has a target rate it should be paid, which is then adjudicated and compared for payment at 100 percent of the contracted rate. Hospital-run revenue cycle tends to tolerate (or ignore) short payment or under-payment scenarios. Various managed care terms can also work against the hospital/ health system. There is a whole debate on global payments versus traditional coding that we will save for a future article. This can be a material swing, especially for groups that have switched IT or revenue cycle vendors. This is about getting the right price set for the work performed. Revenue efficiency -- Revenue efficiency refers to the collection of processes for identifying patient responsibility, capturing front desk payment, adjudicating claims, and patient follow-up. This is often done poorly in hospitals and health systems. They aren’t sure about how much or where the credit card fees are hitting, cost of clearinghouses, coding and compliance overhead, front desk up-front payment collection, and other factors. This is about getting paid the right price for the right work as efficiently and quickly as possible. Diversity -- A separate top-line revenue discussion is your services portfolio. Many new urgent care entrants with hospital backing have started as urgent care only, ignoring the employer segment. Diversification is a strategy that has worked repeatedly and is synergistic. Yes, it makes operations harder and requires an extra set of skills. And the most obvious is employer services, i.e. occupational medicine and a direct-to-employer push on workers’ compensation. Typical for hospital systems is to have this as a separate siloed organization, with no hint of connection to urgent care. Not only is this an opportunity to grow patient volume, but also a way to get more revenue out of potentially idle infrastructure. There are other areas of diversification we will skip as these are operationally too complex for hospitals that may have competing service lines. Volume -- Assuming the urgent care center has revenue integrity in place, the other obvious opportunity is patient volume. This gets into competitive positioning, visibility, reputation, facility design, and other factors to drive traffic on a repeat basis into the center. Much like revenue integrity, there are a set of “playbook” steps related to growing volume and ensuring that the center operates at capacity for staffing levels. When we see centers running low volumes year after year, we help organize a plan to drive business. In six months it becomes clear if that is not working, and the center needs to be closed. If a hospital hasn’t ever closed a center it is either a genius unicorn or subsidizing bad decisions. Moving to the bottom line, taking out cost has lots of opportunity as well. Staffing models is the place to start. Most hospitals are overstaffed, plain and simple. Not only are there too many people getting in each other’s way, they are often the wrong people. Chief nursing officers tend to staff their urgent care with too many nurses and too few medical assistants or cross-trained individuals. Your provider model is also a place to look in terms of ED trained docs versus family practice, as well as MDs versus advanced practice providers (APPs). Applying new workflow techniques along with staffing model redesigns is probably going to be your second-biggest hit at the bottom line. Technology is another area where you could save. But this gets into some difficult questions. If you are deploying EPIC in your urgent care centers versus an EMR specifically built for urgent care, plan on spending an extra $100,000 per center. That’s the cost of giving yourself the ability to share “the Cadillac” of charts across your health system. And you also have to consider how nimble EPIC is with things like workflow, door-to-door times and payments at the time of service. Don’t underestimate the impact of more careful planning on facilities. As a percentage of net revenue, your facility should be between 8 and 12 percent. Clients often ask for a review of a build out – the cost of a brief center pro forma analysis versus the on-going operational losses because rent and build-out are not economically feasible for an urgent care type of business. Over the course of 20 years this can be significant. One final thought is whether your financial systems are set up to give you the sophisticated financial reporting you need. As we’ve said in previous articles, these reporting systems should look a lot like chain restaurants in terms of the level of detail they provide. And monthly operations reviews should take advantage of these reporting systems as you look at continuous improvement from month to month and year to year. Going forward there are few excuses for operating an urgent care in the red. Yes, reimbursement is getting squeezed and provider labor costs are escalating, but there is still lots of room for improvement on both the revenue line and expense line. And as chain urgent care operators continue to expand across the country, the pressure will mount on smaller health systems to learn how to operate their urgent care centers more efficiently. If they don’t, it won’t be long before the chain operators take over. Newer PostCalm Before the Storm?